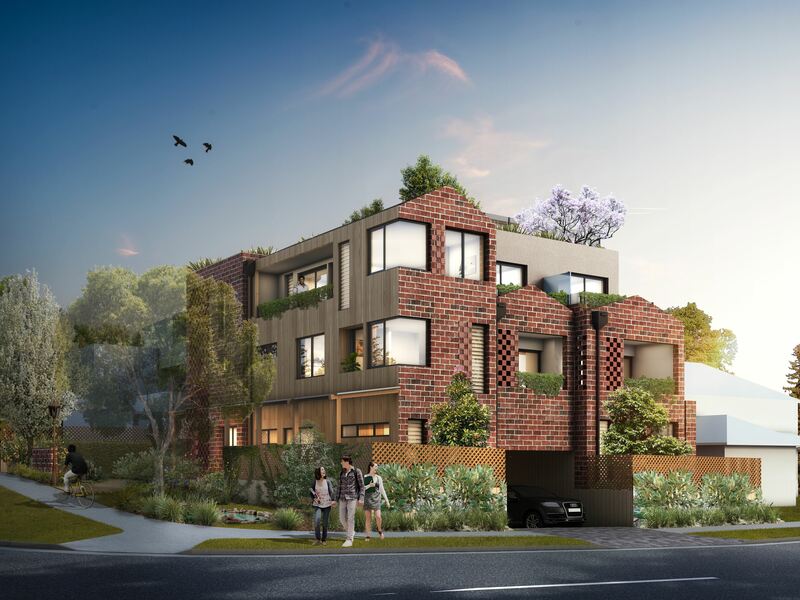 A new apartment project in Glen Waverley is turning heads for its originality, smart design and the forward thinking approach to building and living with sustainability at its heart. For most young Melburnians, the possibility of buying a home with a backyard close to the city is no longer a dream but pure fiction. We would love to have access to private green space but can’t afford the price tag, especially if we also want to keep a short commute. In the inner city there are plenty of apartments, but in a shaky market some of these small spaces are financially less appealing, especially when considered as a major life purchase. They also lack appeal on many other fronts, when we consider the lifestyle we’re really after and our modern day desires for productive green spaces. But the tide is changing, and some new developments are thinking outside the square in terms of livability and sustainability. Philosopher’s Hill in Glen Waverley is leading this shift towards efficient use of urban space without compromising either livability or productivity. Setting a precedent in the suburbs, Philosopher’s Hill has an expected 8 star natHERS rating, making it one of the most energy efficient apartment buildings in the state. Aspects and design of the building have been carefully considered to maximise natural light and generate passive solar heating and cooling. The building itself is also eco-friendly, courtesy of low embodied energy materials such as fly-ash concrete, recycled steel beams and a recycled timber façade. These aspects pair with the use of double glazed windows, basement subfoil and insulating door and window frames to ensure occupiers attain the lowest energy footprint possible. The three story complex houses six two bedroom homes, with one or two bathrooms apiece. Each home has an accommodating living space, which flows onto a generous balcony through bi-fold doors. There is on-site parking for all residents with lift access to upper floors, and a communal rooftop with great views over the Dandenong Ranges. household herbs and vegetables. 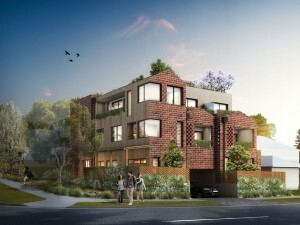 Landscaping is done with a purpose; gardens full of natives and edibles will give residents a distinct feeling of connection to nature and harmony, while the native lawn on the roof and other permeable surfaces will help to slow and catch rainwater in a ground level catchment, limiting damage to local waterways and reducing usage. industry, please visit the link below to send in a letter of support to Monash City Council and help us make this planning proposal reality.  Ten minute bus ride away from Monash University and TAFE facilities.